Technically superior, contemporary styling, refreshing different. The Continental Collection of entrance doors are manufactured to the highest quality standards and at the forefront of product development and innovation. EasiGlaze collection of entrance doors brings you contemporary style and performance, along with great design and engineering. With excellent insulation properties to keep your home warm, you can choose from a variety of styles in a range of colours and a multitude of glazing options to complement and enhance your home. Doors are at the heart of your home's security, and we design our products to ensure visitors to your home are only the welcome ones. All our doors have been designed to provide maximum security and peace of mind. 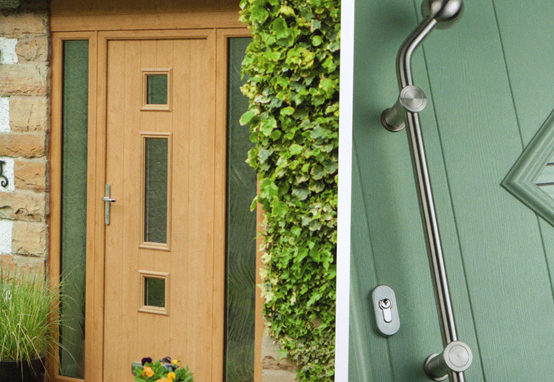 All doors incorporate multi-point locking as standard. The Continental Collection not only offers a modern range of styles but also incorporates the very latest in modern materials and security locking. Offering you durability and easy maintenance so you can be sure your door will last. We understand, that knowing your home and family are protected, is a major factor when choosing your new doors. 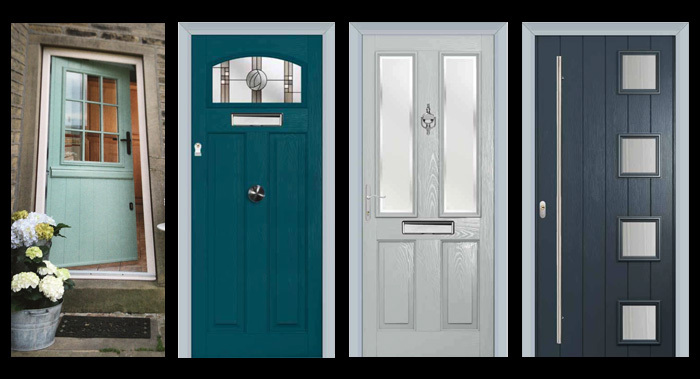 You can rest assured that with our door construction, coupled with our unique, reinforced door frame and Secured by Design locking systems, your property will be as safe as can be when you choose Solidor. The Yale Keyless Digital Lock is secured by a mechanical nightlatch located on the inside of the door. At Solidor, security and safety are amongst our highest priorities. Sadly a property is burgled in the UK every minute, but out 48mm thick solid timber core gives you the strongest and most secure option available in a residential door. You will be glad to know that by upgrading to our high security cylinder, you will be protected by the benefits of - anti pick, anti drill, anti bump and anti snap technology. As standard we fit our exculsive Avantis Secured by design locking systems. With larger hooks for added stength. This is the world’s only “twin” fix cylinder guard. Patented Secured by Desin Cylinder technology. Anti pick, anti bump, anti snap and guarded. If you’d like no handle on your door, why not upgrade to our key operated multi point lock. Solidor have obtained the highest standards of security and quality. We are also members of the Glass & Glazing Federation. The aesthetics of a traditional rim latch, but incorporating the latest high security multipoint lock, which activates and locks the door automatically once the door is shut. Comes with a thumb turn cylinder as standard. Our exclusive Avantis Secured By Design lock gives you the industry’s largest 25.4mm dead bolt for added security. It also has built in compression and dampeners to give the smoothest operation on the market. An attractive range of modern, contemporary door furniture is available to provide that 'special' touch to suit your home and personal taste. Contact us for full information on any of our composite door services, we will be happy to offer no obligation quotations. The ProSecure door handle, manufactured from a strong zinc alloy, has a wealth of features to provide enhanced secuirty and visible protection. Secured by Design approved, the Police Preferred Specification logo is engraved onto the handle to act as a visual deterrent. Access and protect your property without a key! Whether you use the remote control like your car, or enter your own 4-12 digit code into the built-in key pad, Yale keyfree couldn’t be easier to use - and because it’s brought to you by Yale, you know it’s technology you can trust. NO Keys, NO Hassle, NO fuss all you have to do is remember your own unique pin number.